Converter Overall Length (in) 16.000 in. Converter Overall Width (in) 7.000 in. Inlet Diameter (in) 2.000 in. Outlet Diameter (in) 2.000 in. These days, the DIY, or do-it-yourself crowd is all about creating custom work and one-off exhausts are no exception. 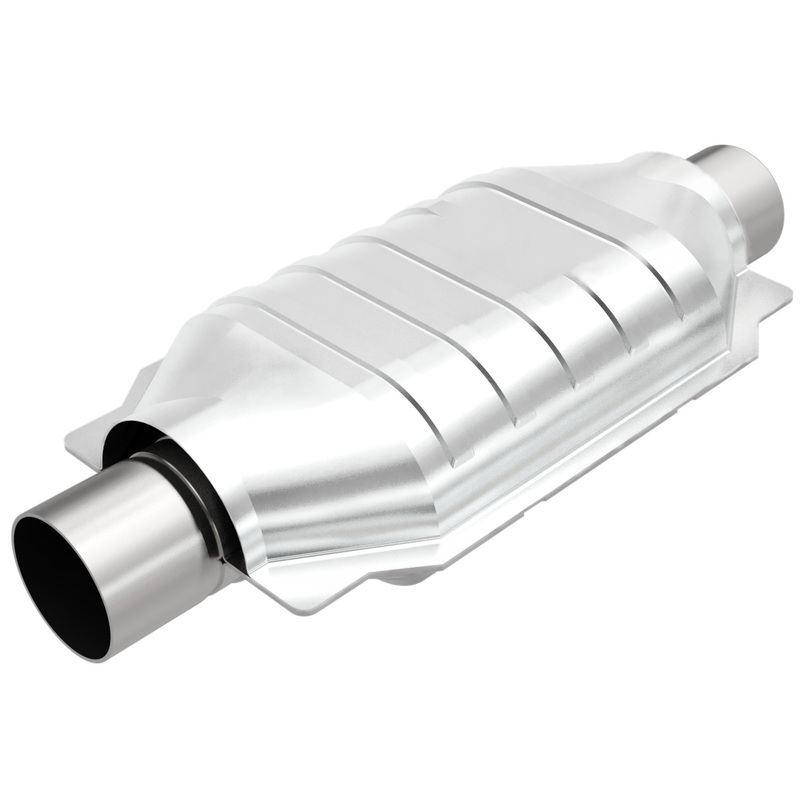 Whether youre working on a classic car, race car or just your daily driver, a Magnaflow universal converter should be the standard building block for your custom exhaust. 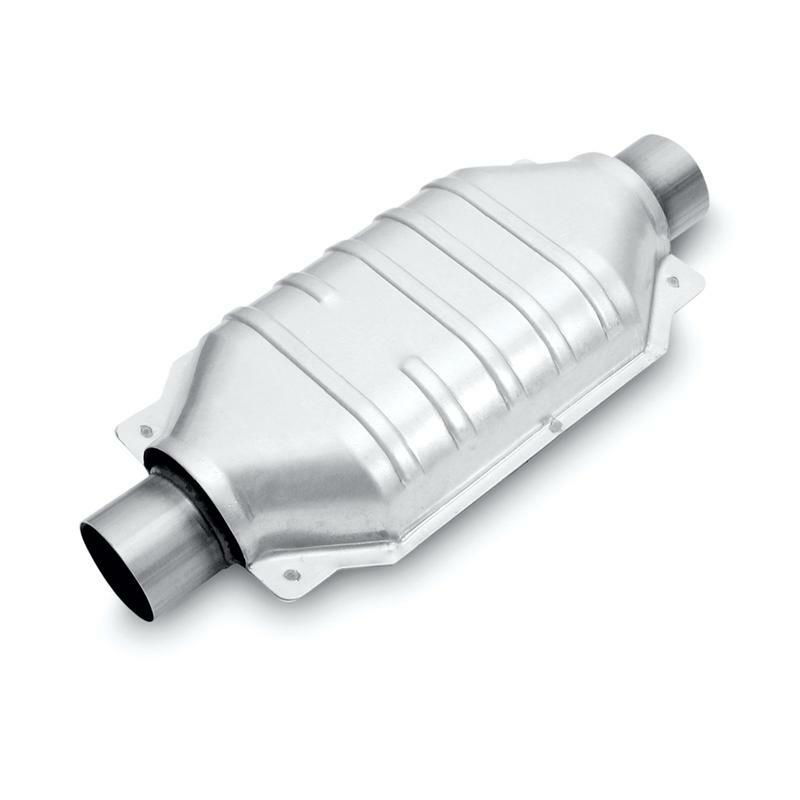 Each converter is built to last with its ribbed design and funneled inlets and outlets, as well as a stainless steel body and heat shield that contain a flow efficient, monolithic honeycomb catalyst designed for maximum flow and surface area. Another great characteristic of Magnaflows universal converters is that each part number covers a wide range of applications so one converter will work on a variety of makes and models. Since these items are universal, some modifications may be involved such as cutting or welding.